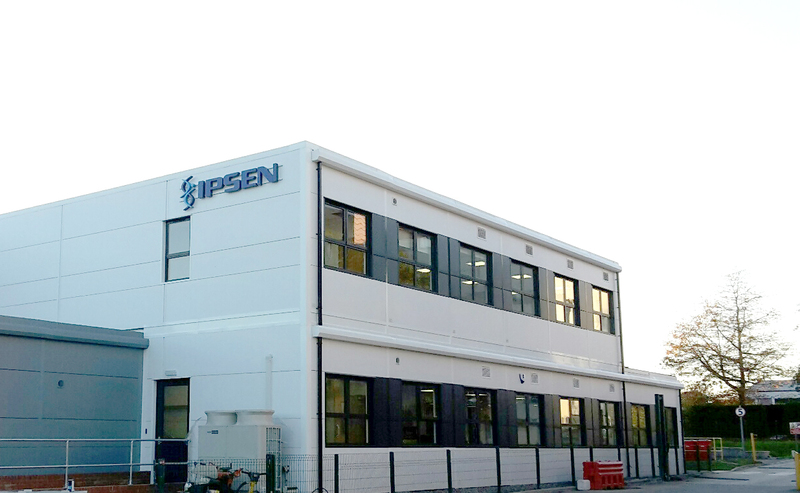 Ipsen Pty Ltd has been in operation since 2001. It is the Australian affiliate of a global specialty driven company with total sales exceeding €1.225 billion in 2014. 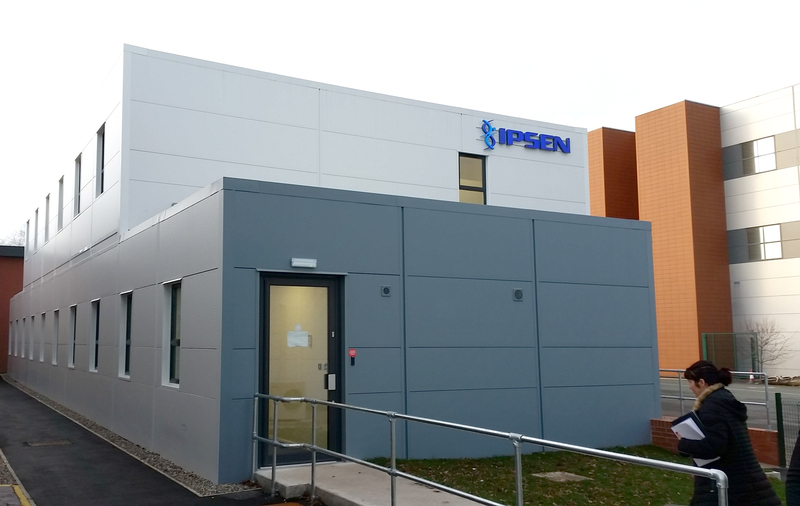 Ipsen’s ambition is to become a leader in specialty healthcare solutions for targeted debilitating. 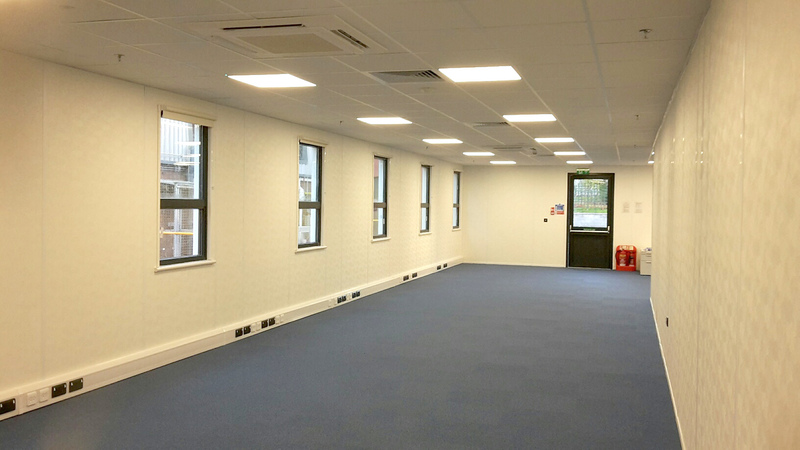 Premier Modular supplied 14 modular bays of 12.2m and 2 Bays of 7.2m. 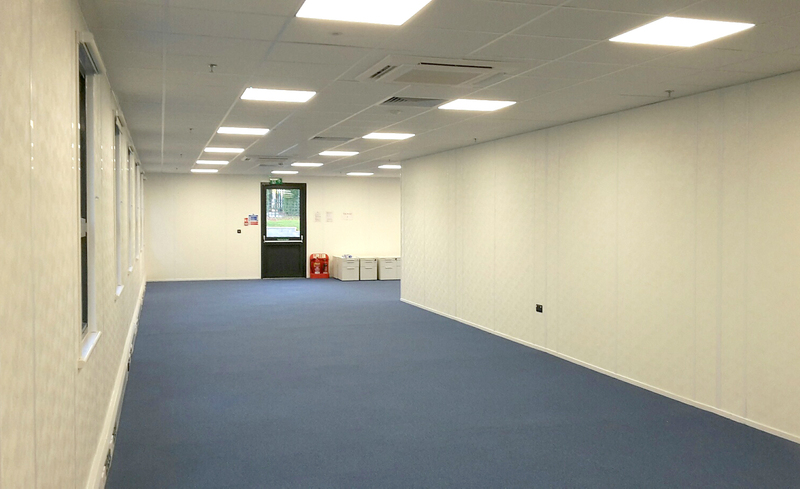 The 2 Storey Premier Plus accommodation is used for temporary offices with a separate 2 Bay, 9.6m as a security/reception building. 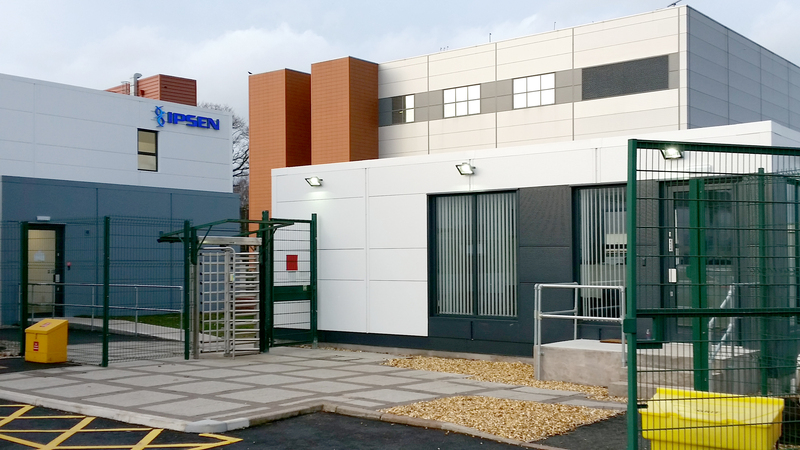 The main building is occupied by research scientists and management staff on a 4 year project which is all part of a site development and expansion program at their Wrexham site. The facility supplied is our top of the range Premier Plus building complete with aluminium double glazed windows and doors. 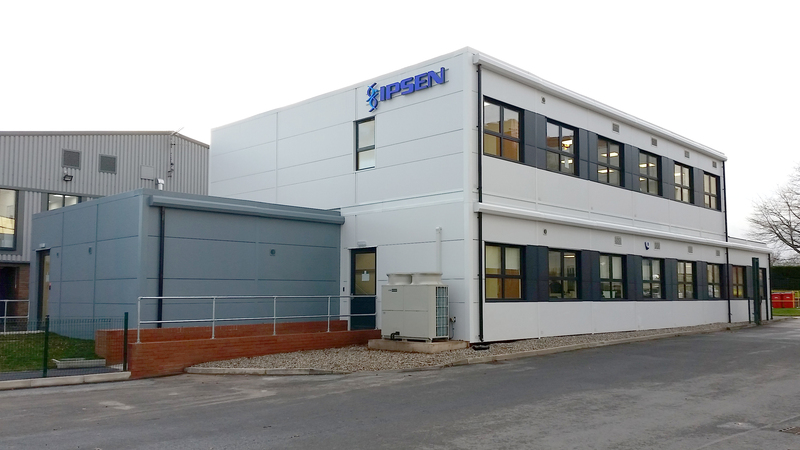 Special fire rated windows are fitted to one side of the building where it abuts an existing Ipsen building to maintain fire security on the site. The building has a full air conditioning heating and cooling system specifically designed for this environment. 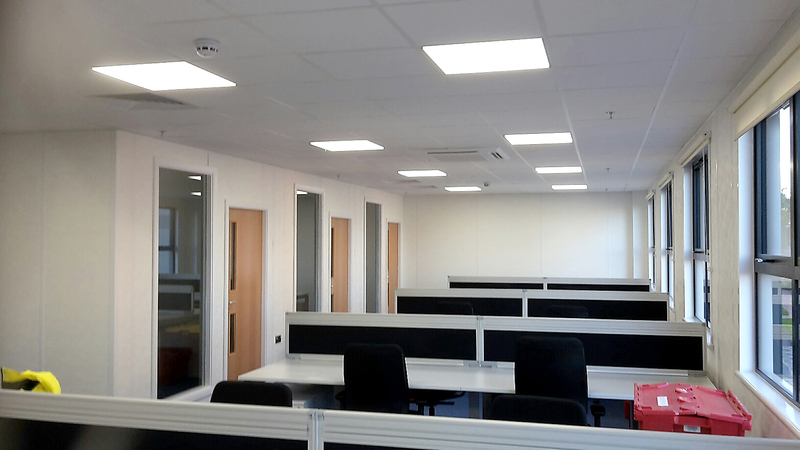 Incorporated within the building are quiet spaces for staff to work unhindered in specific areas. Kitchens are also fitted to the client’s specification and welfare facilities provided on the ground floor accessible by both stairs and a lift. 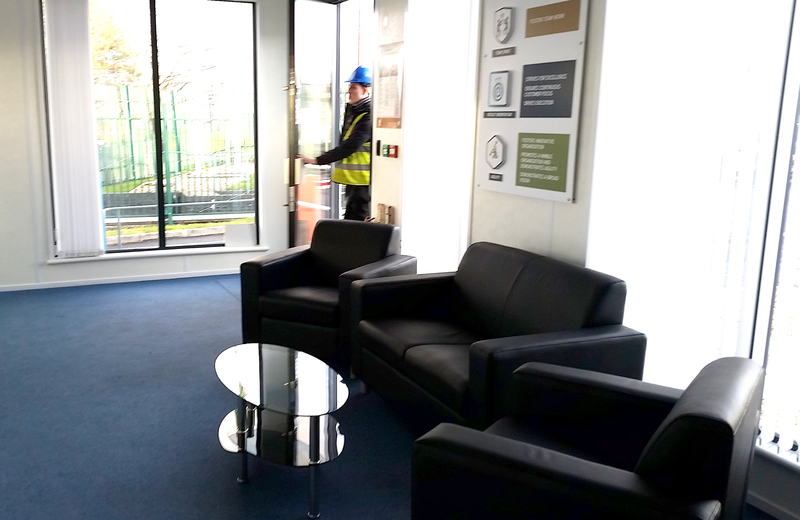 There is also a decked area outside on the first floor for staff to enjoy the fresh air and relax away from their desks.